Get our FREE monthly newsletter with tips, news & more! 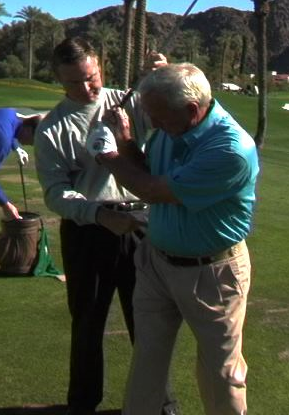 The Greatest Players & Athletes in the World go to Roger Fredericks to work on their bodies and golf swings. Shouldn’t you? WOULD ‘JUST ‘FIXING THE WHEEL GET THE CAR BACK ‘IN SHAPE’? Although during the years that I worked with him we were primarily focused on his flexibility and anatomical function, we still would look at his golf swing from time to time, where we’d monitor how his flexibility was helping him turn back and through better. I Want to Share a Lifetime of the Knowledge I’ve Learned, With You!! By Becoming a Member of The Learning Center, I’m going to provide you with every aspect of golf that you’ll ever need to know to start playing better and feeling better on and off the course. “Hi Roger, After visiting you at La Costa a few years ago to consult with you about my Parkinson’s, I wanted to report that I’ve followed your advice On and Off the Course and have made significant progress!! I’ve now won my Club Championship 4 times, maintained a 5 handicap, and just recently, shot a 69 at age 68!! View More TestimonialsClick Here to JOIN Now! Fredericks Golf & Fitness is Great for Golfers & Non-Golfers Alike! Roger Fredericks is an innovative golf instructor and fitness expert, as well as one of the original pioneers of the golf fitness movement, and has worked on the golf swings and bodies of thousands of golfers inluding over 70 Tour Players, 7 Hall of Famers and all of the ‘Big Three’ Arnold Palmer, Jack Nicklaus and Gary Player. His Smash Hit Infomercial, Roger Fredericks Reveals the Secrets to Golf Swing Flexibility is the top selling Golf Fitness DVD’s of all time! 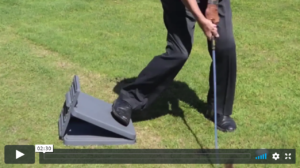 His golf instruction, flexibility, and posture techniques have helped legions of golfers and non golfers on and off the course. Now, In the Learning Center, Roger will reveal his secrets of Golf Instruction and Fitness techniques…to you! Sign Up and Let Roger Become Your Coach Right Here… Right Now!